Equips students with the knowledge, tools, and resources they will need to adapt, grow, and stay safe in today's ever-changing technological world. Cyber Literacy for the Digital Age equips students with the knowledge, tools, and resources they will need to adapt, grow, and stay safe in today's ever-changing technological world. 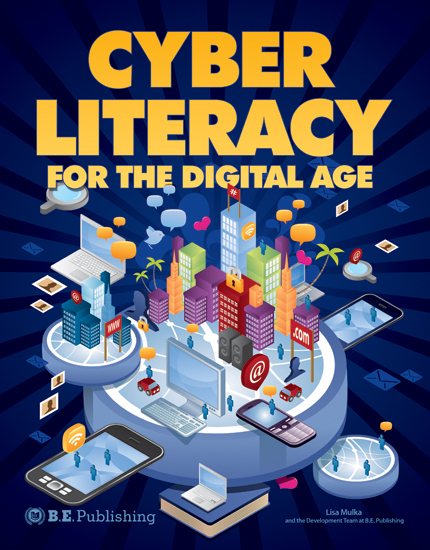 This textbook covers an array of cyber and digital literacy topics that are current and relative to today's "hi-tech" savvy students. From cyberbullying and identity theft, to social networking and Internet threats, students are presented with concepts and real cases that are relevant to the virtual world they now live in. Unit 1: It’s a Big World! 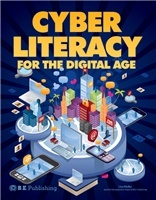 The Online Instructor Resources for Cyber Literacy for the Digital Age include the Teacher's Wraparound Edition, Chapter Tests and Solutions, and the PowerPoint Teaching Tool. Chapter Tests assess students' knowledge of what they have just read, while the Teacher's Wraparound Edition and PowerPoint Teaching Tool facilitate and support teaching each chapter. The Teacher's Wraparound Edition is an identical copy of the student edition in thumbnail format with additional discussion topics, assignments, and content. Each chapter within this edition provides instructors with suggestions for introducing the topics at hand, various methods that can be implemented when teaching the chapter, and answers for each assessment. The Teacher's Wraparound Edition contains a series of additional classroom discussion topics, assignments, and content that correlates to each chapter from the student text. Chapter Tests measure students' understanding of each chapter. Question types include matching, multiple choice, and short answer. PowerPoints introduce the key terms and main ideas of each chapter in an accessible, easy-to-understand format.